Our Clear Memory Frame is a clean and simple way to display your pictures and mementos of your loved one. 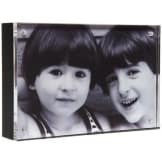 This double-sided frame allows you to display memories on both sides. 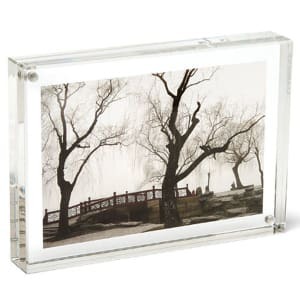 Images can extend to full size of the frame or can be any size smaller for a ‘floating’ effect. 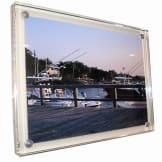 The two clear panels are held together by tiny magnets at each corner to securely hold your photos. • Made of solid, clear acrylic.